The two-time Pulitzer Prize–winning biologist delivers "an astonishing literary achievement" (Anthony Gottlieb, The Economist). 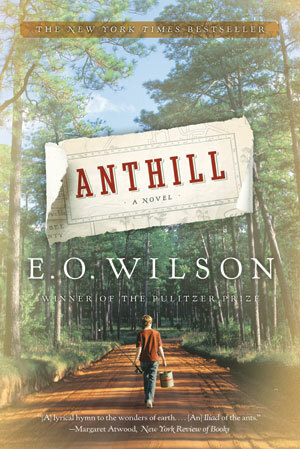 Winner of the 2010 Heartland Prize, Anthill follows the thrilling adventures of a modern-day Huck Finn, enthralled with the "strange, beautiful, and elegant" world of his native Nokobee County. But as developers begin to threaten the endangered marshlands around which he lives, the book’s hero decides to take decisive action. Edward O. Wilson—the world’s greatest living biologist—elegantly balances glimpses of science with the gripping saga of a boy determined to save the world from its most savage ecological predator: man himself.